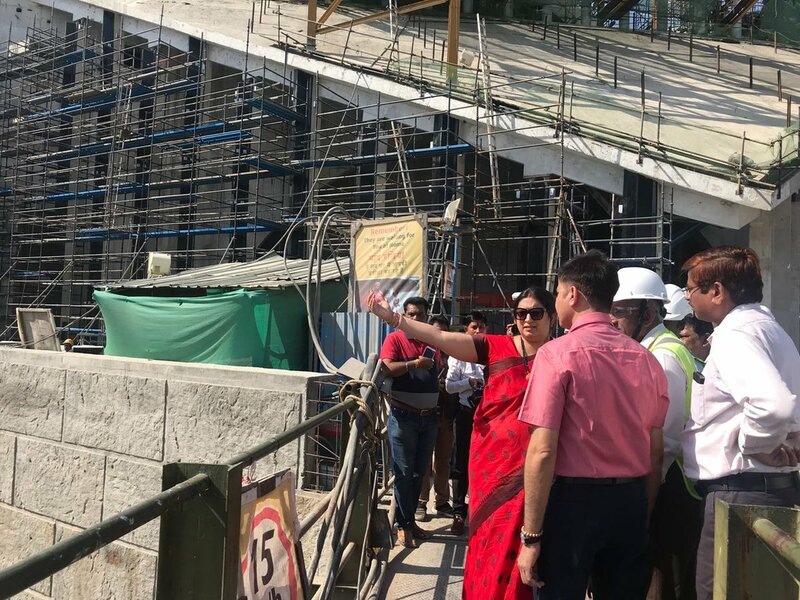 Bharuch: Union Textiles Minister Smriti Irani today visited the site in Narmada district of Gujarat where a giant statue of Sardar Vallabhbhai Patel — touted to be the tallest in the world when completed — is being constructed. The statue is expected to be inaugurated on October 31 this year, the birth anniversary of the country’s first home minister. 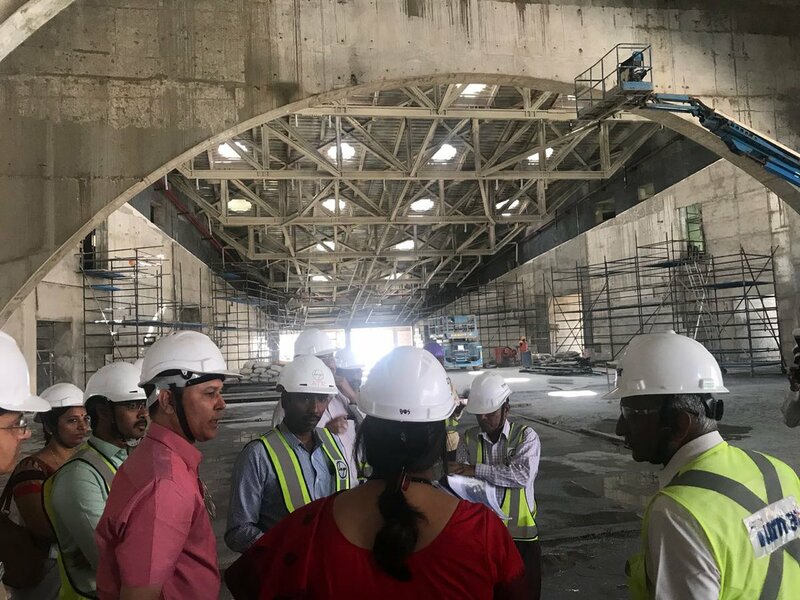 She also visited Narmada Dam at nearby Kevadiya and inspected the radial gates which have been installed to increase the dam’s height, a government release said. Irani was in the district to attend `Transform Narmada Sammelan’ at Rajpipla as part of the NITI Aayog’s `Transform India 2022′ action plan. 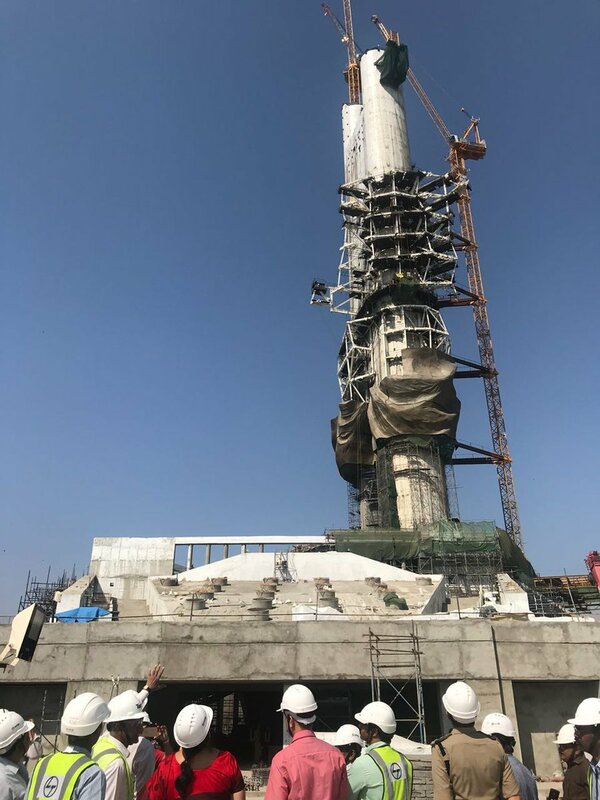 “Irani inspected the construction work of world’s tallest 182-metre Statue of Unity of Sardar Vallabhbhai Patel coming up on Sadhu Bet islet near Narmada dam in the district and was impressed by its progress,” the release said. Irani later held a meeting with senior officials to discuss a roadmap to transform the tribal-dominated district in the next five years. She also addressed a gathering of NCC-NSS cadets and Asha and Anganwadi (government-run childcare centre) workers. “Addressed a large gathering of NCC-NSS cadets, ASHA/Anganwadi workers and officials from across the district at #TransformingNarmada Sammelan in Rajpipla,” the Union minister tweeted. “I congratulate district administration and officers in-charge for setting up `Narmada Transformation Corps’ (NTC) and my grateful thanks to nearly 4,000 volunteers who have enrolled themselves with NTC to support the endeavour to #TransformingNarmada,” she said.